Of all the lip products I own, the only one I&apos;ve finished multiple tubes of, and repurchased more than once, is Dior Lip Glow. Why? 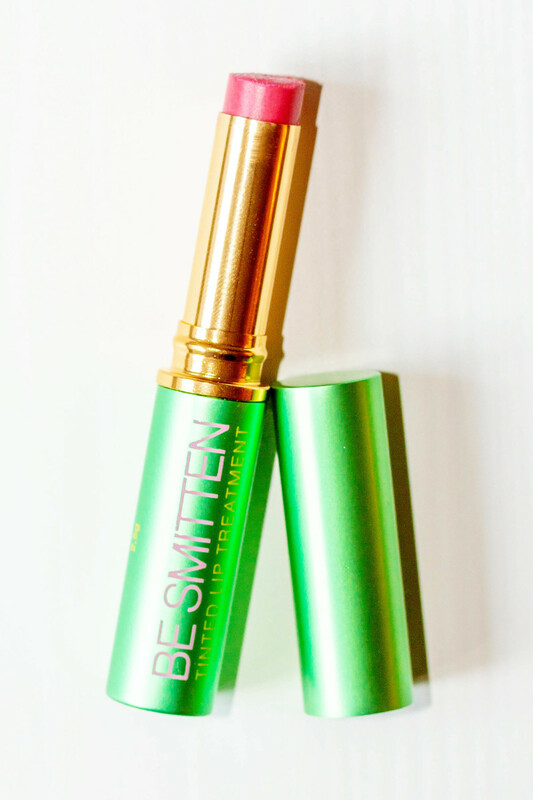 Because its sheer tint and subtle shine goes with every makeup look (or no makeup at all). 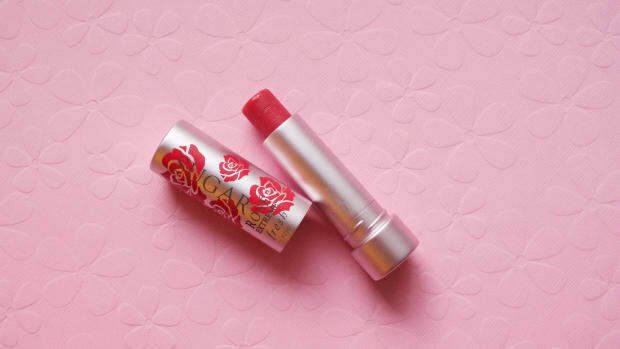 It has a long-lasting, balmy texture that never dries out my lips. And it somehow hides chapping—something most products only accentuate. But this is not a review of Dior Lip Glow. As much as I love it, I&apos;ve been searching for a replacement for a LONG time. Since I always keep it in my purse and wear it practically every day, I&apos;d really prefer to use a more natural product. Ideally, with emollient oils to nourish my lips, and few irritants (more on those here!). But it also NEEDS to be a tinted balm with a similar finish and texture. Not as thin as Caudalie French Kiss or French Girl Lip Tints. 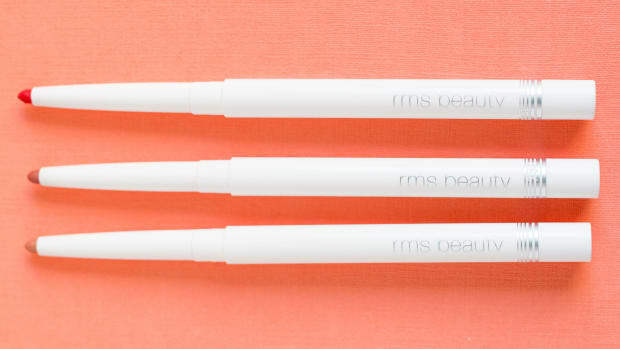 And I love RMS Beauty, but they don&apos;t have anything balmy. Their Lip Shines and Lip2Cheeks are not a good look when I have flaky lips. Just when I was about to give up on finding this type of product, I recently stumbled upon one that ticks off all my boxes... the Tata Harper Tinted Lip Treatment! The packaging of Tata Harper&apos;s Lip Treatments. Tata Harper&apos;s Lip Treatment is a 100 percent natural "hydrating and volumizing" treatment that targets dryness and signs of aging (more on that in a second!). It comes in two tints, Be Adored and Be Smitten, as well as one clear shade, Be True. I just bought the tinted shades, since I already have my basic lip balm rotation sorted out. 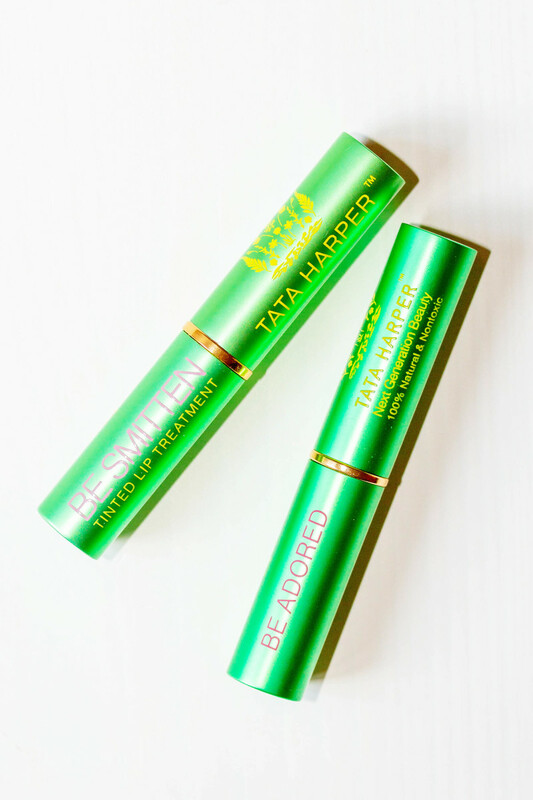 Tata Harper&apos;s Lip Treatments in Be Smitten and Be Adored. I always love Tata&apos;s packaging, and these are no exception. Keep in mind that the tubes are thinner than the typical lipstick, so you&apos;re getting a bit less product, along the same lines as Clinique Almost Lipstick. 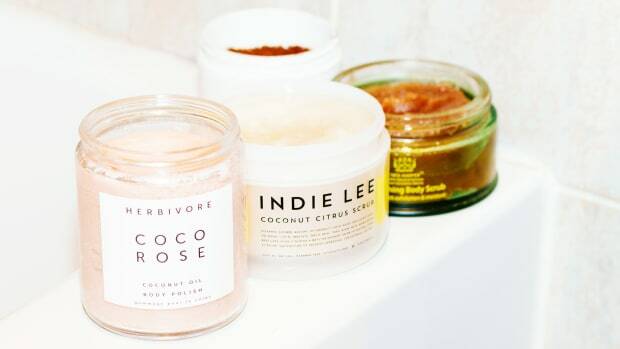 These balms are mainly comprised of natural oils, waxes and butters. 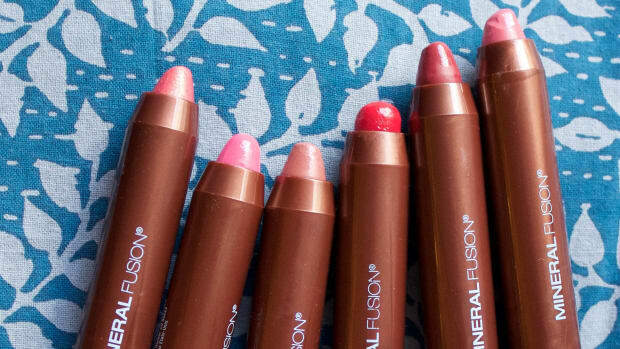 The idea is that they act as "skincare for your lips," which is right up my alley! 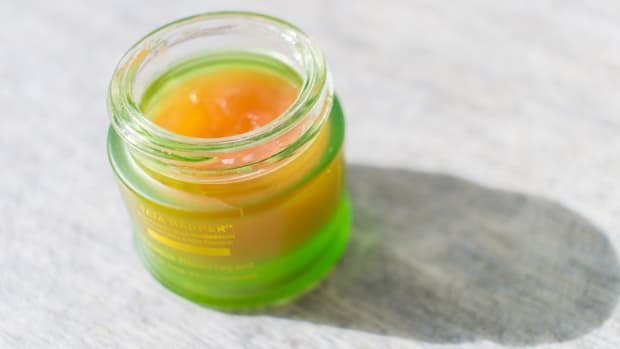 The first five ingredients are all very stable, and include: olive oil, beeswax, camellia oil, cocoa butter and caprylic/capric triglyceride (derived from coconut oil and glycerin). Be Adored: Olea Europaea (Olive) Oil*, Cera Alba/Beeswax/Cire D’abeille*, Camellia Sinensis (Green Tea) Seed Oil*, Theobroma Cacao (Cocoa Seed) Butter, Caprylic/Capric Triglyceride, Prunus Armeniaca (Apricot) Kernel Oil*, Olus/Vegetable Oil/Huile Végétale*, Persea Gratissima (Avocado) Oil*, Euterpe Oleracea (Acai) Fruit Oil*, Sambucus Nigra Fruit Extract, Palmitoyl Isoleucine, Pheonix Dactylifera (Date) Seed Extract, Lavandula Stoechas (Spanish Lavender) Extract, Arnica Montana (Arnica) Extract*, Borago Officinalis (Borage) Leaf Extract*, Medicago Sativa (Alfalfa) Extract*, Spiraea Ulmaria Flower Extract*, Calendula Officinalis (Calendula) Flower Extract*, Tocopherol, Natural And Organic Flavors, Carmine. *Ingredients from organic farming. Be Smitten: Olea Europaea (Olive) Oil*, Cera Alba/Beeswax/Cire D’abeille*, Camellia Sinensis (Green Tea) Seed Oil*, Caprylic/Capric Triglyceride, Theobroma Cacao (Cocoa Seed) Butter, Prunus Armeniaca (Apricot) Kernel Oil*, Olus/Vegetable Oil/Huile Végétale*, Persea Gratissima (Avocado) Oil*, Euterpe Oleracea (Acai) Fruit Oil*, Palmitoyl Isoleucine, Sambucus Nigra Fruit Extract, Arnica Montana (Arnica) Extract*, Borago Officinalis (Borage) Leaf Extract*, Medicago Sativa (Alfalfa) Extract*, Spiraea Ulmaria Flower Extract*, Calendula Officinalis (Calendula) Flower Extract*, Lavandula Stoechas (Spanish Lavender) Extract, Tocopherol, Pheonix Dactylifera (Date) Seed Extract, Natural And Organic Flavors, Jojoba Esters, Octyldodecanol, Trihydroxystearin, Mica, Iron Oxides (C.I. 77891, C.I. 77491), Carmine, Titanium Dioxide, Alumina, Silica. *Ingredients from organic farming. Most importantly, I haven&apos;t experienced any irritation from these formulas, after wearing them for the past month! 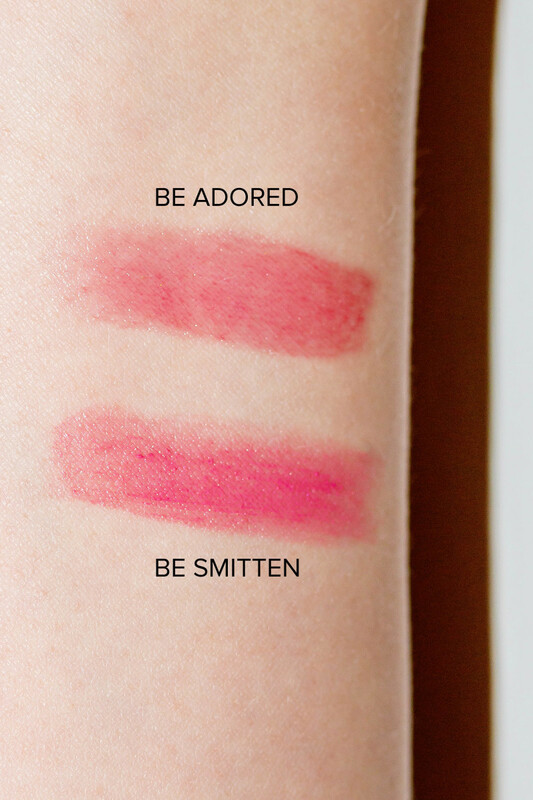 Swatches of Tata Harper&apos;s Lip Treatments in Be Adored and Be Smitten. The texture of these Lip Treatments is very similar to Dior Lip Glow—very balmy, semi-glossy and super-moisturizing. What&apos;s interesting is that they&apos;re not only formulated to deeply hydrate the lips, but also to plump them. Apparently, they&apos;re supposed to increase fullness and reduce the appearance of vertical lip lines... something I didn&apos;t notice at all. However, since most plumping products "work" by irritating your lips, this is fine with me! Both shades are sheer, one a bit more so than the other, but I&apos;m not sure that the swatches above actually do them justice—I find they look quite different on my lips! So, here&apos;s a closer look along with my thoughts on each one. Tata Harper Lip Treatment in Be Adored. Wearing Tata Harper Lip Treatment in Be Adored. 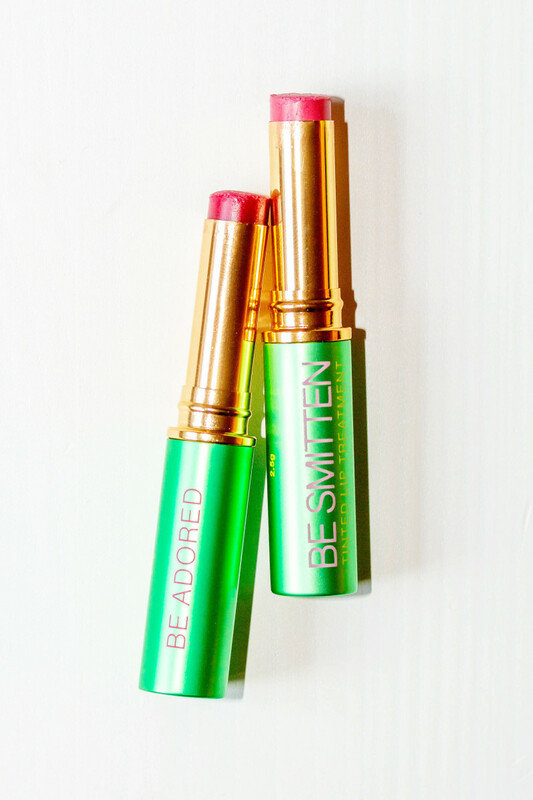 Be Adored gives your lips a rosy-red, raspberry tint. The effect is like a combination of a stain and a balm, as if you just ate a cherry popsicle. It&apos;s more subtle than a red lipstick, but just as face-brightening. I love it so much! If you buy just one shade, make it this one... it&apos;s absolutely PERFECT for lips and even cheeks. 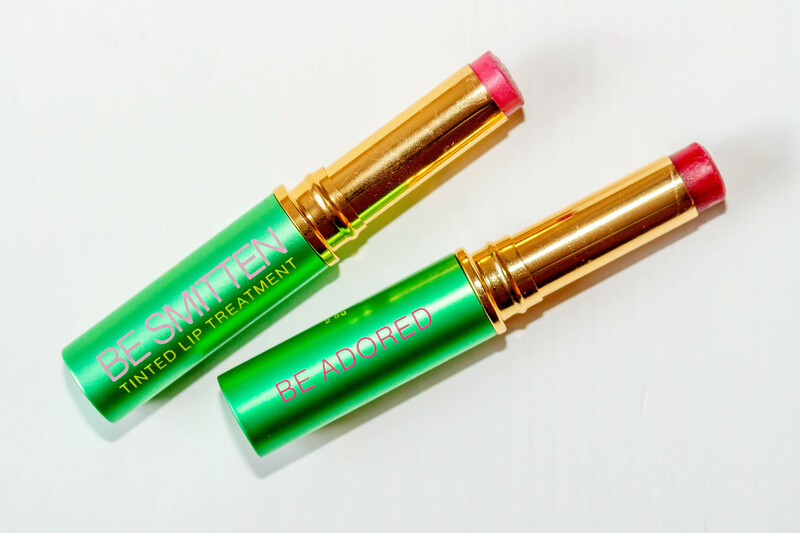 Tata Harper Lip Treatment in Be Smitten. Wearing Tata Harper Lip Treatment in Be Smitten. Be Smitten gives your lips a magnolia pink tint. This shade is the more opaque of the two, and I was surprised at how much colour payoff you get. Usually, pink balms barely show up on me, since they let too much of my natural lip colour peek through. This one doesn&apos;t—it really pops! Some reviews have mentioned a gritty texture, but I found that was only on the first application; after that, it&apos;s gone. I did notice the colour can settle into lines a bit, so I like to just smooth it out with a fingertip, dabbing any excess on my cheeks. It&apos;s equally pretty as a blush! Tata Harper&apos;s Tinted Lip Treatments. 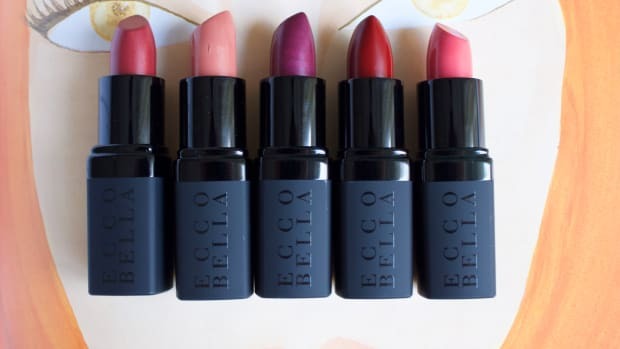 As you can see, Tata Harper&apos;s Tinted Lip Treatments are a sheer alternative to heavy, drying lipsticks... and a cleaner version of balms like Dior Lip Glow. 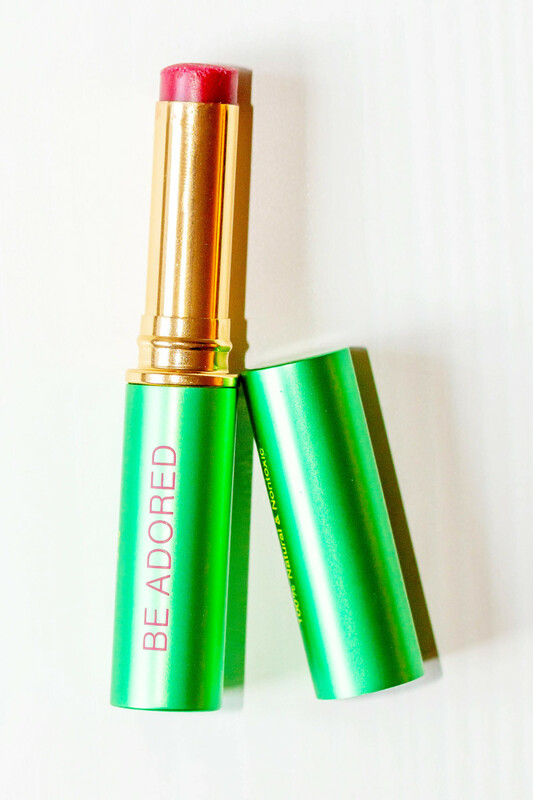 I can&apos;t say enough good things about Be Adored, specifically—which has now found a permanent home in my handbag. If you&apos;re like me and love the look (and feel) of a semi-glossy tinted balm, one that soothes and hides chapping, I would definitely encourage you to check these out. My only complaint? Since I know these will be on high rotation, I wish they gave more product for the price! What&apos;s your favourite tinted lip balm? Have you tried these ones?